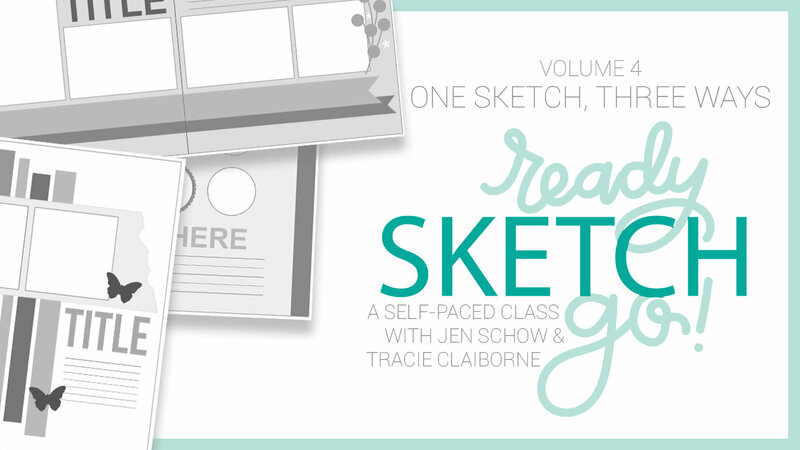 In this volume of Ready, Sketch, Go! we translate each sketch into an 8.5x11 page, 12x12 page and a double 12x12 layout. We think you'll be surprised to find that one sketch design can go a long way towards inspiring you! We can't wait to show you how! The class is packed with sketches, inspiration, and video instruction. -24 page printable .pdf document with full color photos of each sketch and layout + tips and tricks perfect for printing and taking to a crop!